Story : Jagruthi Trust, located in Anantapuram , has few thousands of acres of land registered for it and has virtually no apparent heir. The livelihood of 15,000 people is dependent on these trust lands. In such a situation, politically influential millionaire ‘Vikram Sarkar’ (Kabir Duhan Singh) eyes on Jagruthi trust, and with the help of forged documents he is able to convince the courts to deliver ruling that trust belongs to him. However, based on the counter request made by the trustee (Sai Kumar), court rules that , if trustee could find and present the heir within 30 days, then ruling will go against Vikram Sarkar. Rest of the story is how the real heir (a kid) is found and brought to the court, with the help of a taxi driver ( Sai Dharam Tej). Analysis: This movie has a thin story line, primarily a treatment oriented movie. The story theme is revealed in beginning of the movie, and right after the introduction episodes, the audience can easily predict the story of the film. There are no twists or so called bangs, rather it is a pretty straight forward movie. But Anil Ravipudi has been very successful in engaging the audience with his witty treatment and racy screenplay. ‘Sai Dharam Tej’ , who resembles young Chiranjeevi in looks, has ease in action and he is good in dances as well. Supreme is one movie which is surely going to increase the market of Sai Dharam Tej in tollywood. He never looks new to the camera and acts like a seasoned artist. Raashi Khanna is glamorous even in the cop uniform. She portrayed the role of S.I. Bellam Sridevi, which came out well. She has been pretty impressive in this role and she has done a complete justice to her character in the film. 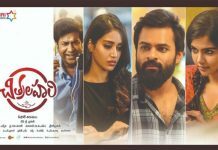 Vennela Kishore who is doing pretty good roles in the recent times has once again entertained the audience with his mark comedy. Posani, Srinivasa Reddy, JP, Prudhvi , Prabhas Srinu and a new entry as villain Bhikku’s side kick ‘Jenny’ are also pretty impressive in their roles. Jenny’s characterization is quite hilarious and has generated some laughs at the right time. Comedy scenes are not great, but definitely enjoyable. ‘Rajendra Prasad’ who is seen as Sai Dharam Teja’s father has given a decent performance and the Kid who played as ‘Rajan’( nickname) is cute and performed well. Sentiments scenes are just ok. There is a forced sentiment here and there in the film which has not worked out properly. ‘Shruti Sodhi’ of ‘Pataas’ fame did a special song in this film which has come out quite well. Music by ‘Sai Karthik’ is just average and the songs are quite good to watch. Order in the movie: Taxi Wala, Bellam Sridevi, ChalO ChalO, Anjaneyudu Nee vadu, Andam Hindolam. Production values by Dil Raju is one of the biggest asset of the film..
Producer spent lavishly on songs and action sequences which are touted to be one of the major highlights of the film. Verdict: Both halfs are equally entertaining, Supreme movie is a decent watch. If you liked ‘Pataas’ movie, then this movie also will satisfy you. 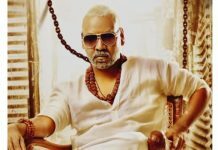 As upcoming two big movies ‘A Aa’ and ‘ Brahmotsavam’ cater to the class audience, there won’t be any competition for SUPREME in mass segment this summer. Supreme might end up as a decent grosser at the domestic box office. 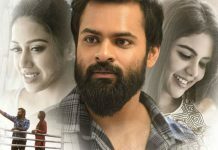 Star Cast: Sai Dharam Tej, Raashi Khanna, Ravi Kishan, Rajendra Prasad and some others.